Last Friday Irish Minister Bruton and ecars made a joint announcement on a €20m investment in a high power charging network for EVs in the South. This initiative is 50% financed by the Irish Government’s Climate Action Fund with the remainder coming from ESB. We spoke to an ESB representative earlier today and they told us there’s currently nothing similar in the pipeline for the North, at least not until a similar investment (perhaps from OELV) can be found. ESB are still on track to start taking payments for DC charging in the Republic this summer, with payments for AC charging following on next year. In the North we still lack the legislation to allow any company, whether ESB, Ionity, Fastned or whoever, to make a profit from selling electricity on to consumers. Presmably this lack of forethought is even holding up the Tesla Supercharger that’s planned near Lisburn too. Most NIEVO members will feel a frustrating sense of déjà vu as they read this news on Northern Ireland’s crumbling public charger network. 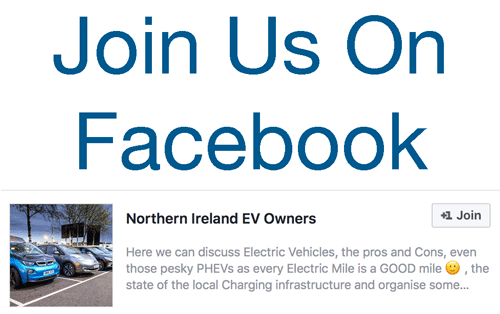 Be the first to comment on "€20M Investment For Republic’s Charger Network – North in Limbo Without Assembly"